The Terminator – Time can’t be changed, there is one timeline, the future’s past is the inevitable future. Sure, the protagonists want to believe they can change it, but in the end Kyle is the father of Sarah’s child, and the T-800’s chip and arm lead to the creation of Cyberdine Systems. Terminator 3: Rise of the Machines – Just kidding, time can’t be changed after all. You can postpone fate but never change it. Terminator Salvation – Do you want me to walk over there and trash your lights?? That brings us to Terminator: Genisys. There are multiple timelines, but some people can see both of them if they remember hard enough and tell a child to say it in a mirror every day…? The past can change and postpone Skynet’s release, but mostly just to conveniently push Judgement Day to 2017. The rules here are really unclear, and no one seems very interested in figuring them out. John Connor even postulates that he thinks he exists outside of time, and thus can’t affect his own existence. That’s fine, I guess, but not very interesting. Without rules, the audience really doesn’t gain a sense of consequence for any action. Everything is topsy turvy, timey wimey. “Old, but not obsolete.” That’s Arnold’s mantra throughout the majority of the film, and it’s actually a pretty good one. Arnold really plays up his current father-figure nature as the dadliest terminator, and it’s one of the few things that really worked for me. There are some interesting themes about growing old and facing your own mortality. These are admittedly odd questions for a movie about an unstoppable killer robot, but they work in that classic “sci-fi” way of speaking as metaphor for humanity. This is, of course, completely undercut by the ending: Arnold sacrifices himself, only to be thrown into molten metal and emerge not only unscathed, but “upgraded” with T-1000 powers. What I take from this is that I shouldn’t worry about aging, as technology is right around the corner that will make me immortal and young forever. Technology is the answer, no one I know or care about will ever die. An interesting sci-fi premise, and literally the antithesis of every Terminator movie, ever. This is a relatively minor point, but this movie has the most egregious use of a countdown clock that I have ever seen. Literally every billboard in San Francisco has a clock ticking down to “Genisys.” Every tablet, every computer screen, reminds us of exactly how long our heroes have to avert nuclear holocaust. It’s like if today, every screen on earth was dedicated to counting down to the newest iPhone release. But that’s not the worst part. The worst is that the clock doesn’t mean anything. First of all, Sarah and Kyle could have traveled to literally any time they wanted. Maybe allowing themselves more than two days to save humanity would have been a swell idea. They could have travelled to 1997, checked Sarah’s prediction, and then “taken the long way” to 2017 if it turned out to be false. Hell, they could have just avoided time travel altogether! With the assassin out of the way, there’s no reason not to just settle down, have a child, and raise John Connor together, preparing to take down Skynet before it is released. This time Kyle can actually be a father, having survived in this timeline. In the climax of the film, Sarah and Kyle show up at Genisys. Skynet arrives and announces that they are too late, and the clock immediately speeds down to zero. 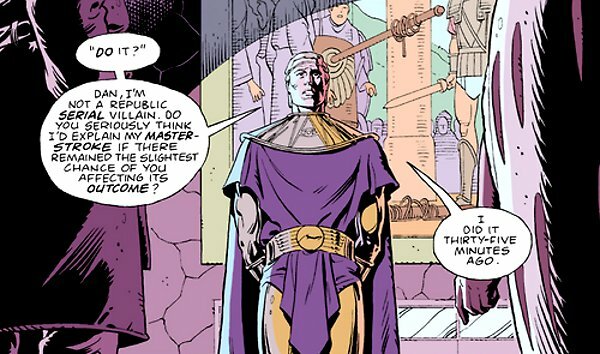 It’s the “Ozymandias” reversal, our heroes are too late. Except the clock doesn’t tick down to zero. It goes down to about 14 minutes, plenty of time to blow up the building and get the hell out of there. Everything about this is terrible, manipulative, and artificial. The movie invokes the ticking clock trope as nothing but sloppy storytelling, as the clock doesn’t actually represent how long our heroes have. Which brings me to my larger point. This is certainly not a new observation, but I think it’s particularly relevant as all of these 80s franchises are being rebooted. I get it; people pay to see franchises they love, and everybody wants a new trilogy. Is it too much to ask that the nostalgia machines have some quality to them? Dawn of the Planet of the Apes and Mad Max: Fury Road are both good examples: excellent movies that just happen to be part of a franchise. 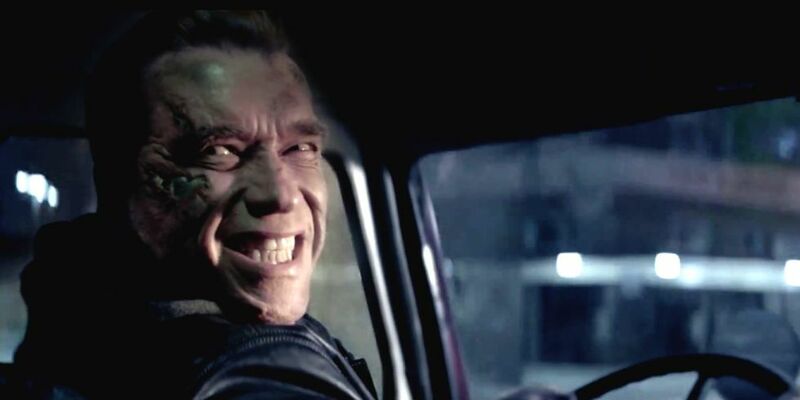 Terminator: Genisys is bad. It is riddled with plot holes. The dialogue is laughable. There’s a completely unconvincing romantic subplot. There’s an unmotivated helicopter chase, complete with action that doesn’t effect the story in any way. The audience never worries that a character might die, or even be injured. Any possible suspense is completely undercut by out-of-place, PG-13 jokes. There’s no heart and no sense of danger. One obvious comparison is Jurassic World, a film I didn’t particularly love. It too was often nostalgic and lazy, with characters appearing where the script needed them and actions coming from plot rather than character. But at least Jurassic World felt like a Jurassic Park film. Terminator: Genisys is a movie in which the killer robot spends more time talking to our heroes than actually trying to terminate them. That doesn’t sound like a Terminator film to me.